In your everyday hustle and bustle, who has the time to run home and change after work? Get more out of your office wardrobe with these easy-to-follow styling tips. Prepare to take your workday staples from lunch hour to happy hour without missing a beat. Keep reading to see how to go from week to weekend with ease! Meet the most versatile piece in your closet. Dressed up for work or dressed down for drinks—this wardrobe essential does it all. 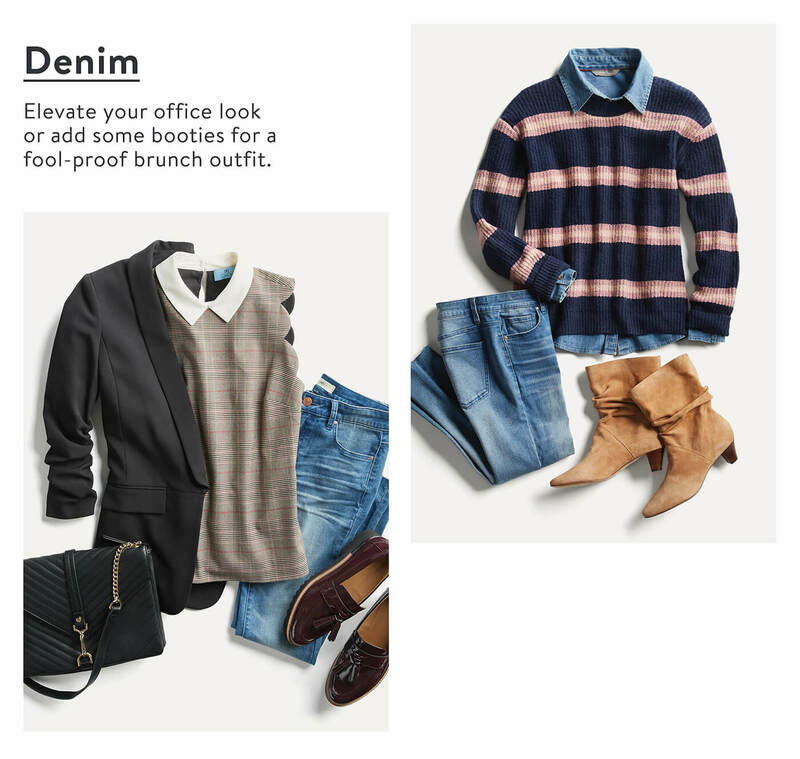 Pair it with a blazer and sweater to elevate your office style or kick it weekend style with some booties and cozy layers for a fool-proof Sunday brunch outfit. Alright, you should always have a pair of everyday jeans on hand, but tired of feeling blue? A bold candy-colored hue breaks up the everyday humdrum and makes an equally big fashion statement. 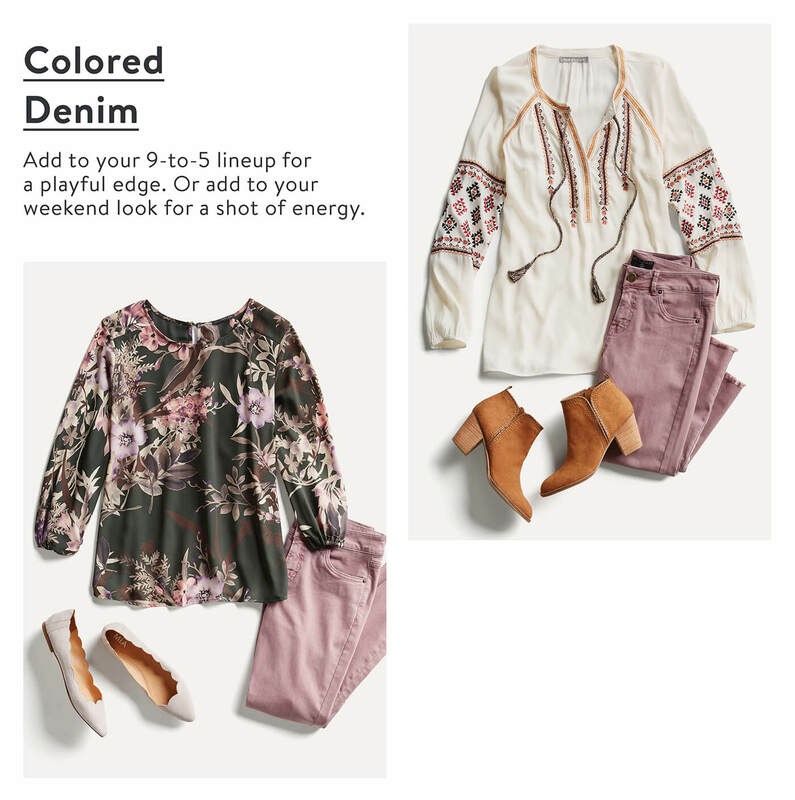 Whether you pair them to your 9-to-5 lineup for a playful edge or add them to your weekend look for a shot of energy, this lively update can brighten any day. They’re the quintessential workwear staple, classic, but still so chic. With so many lengths, fits and patterns, you can wear them anyway and anywhere. A skirt is an easy way to switch up your daily uniform. 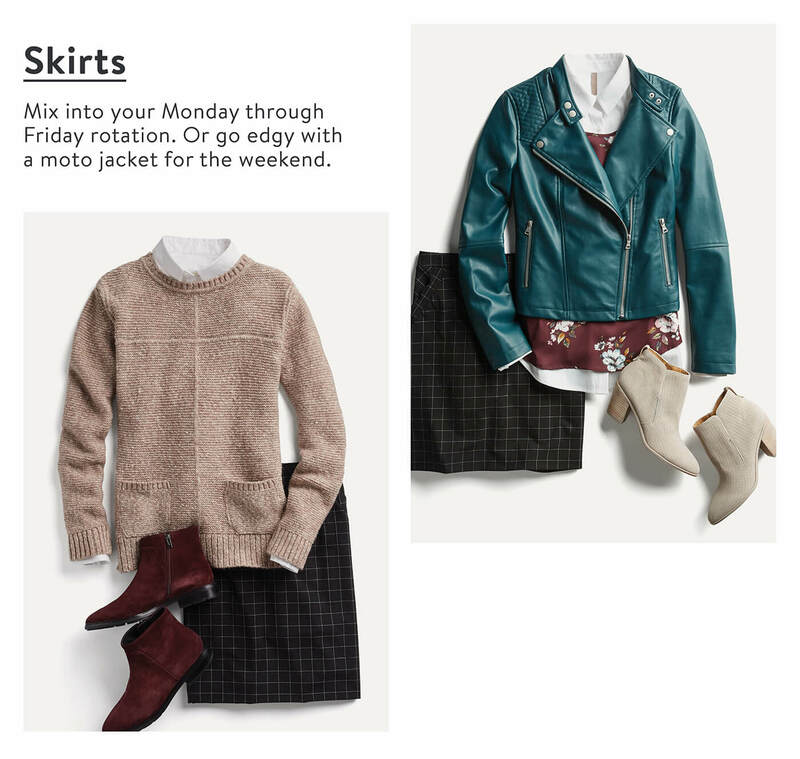 Mix it into your Monday through Friday rotation or pair it with a moto jacket and ankle boots for an ensemble that’s feminine and edgy. This is the wear-anywhere closet essential that everyone should own. You can never go wrong with this year-round staple that brings elegance to every ensemble. 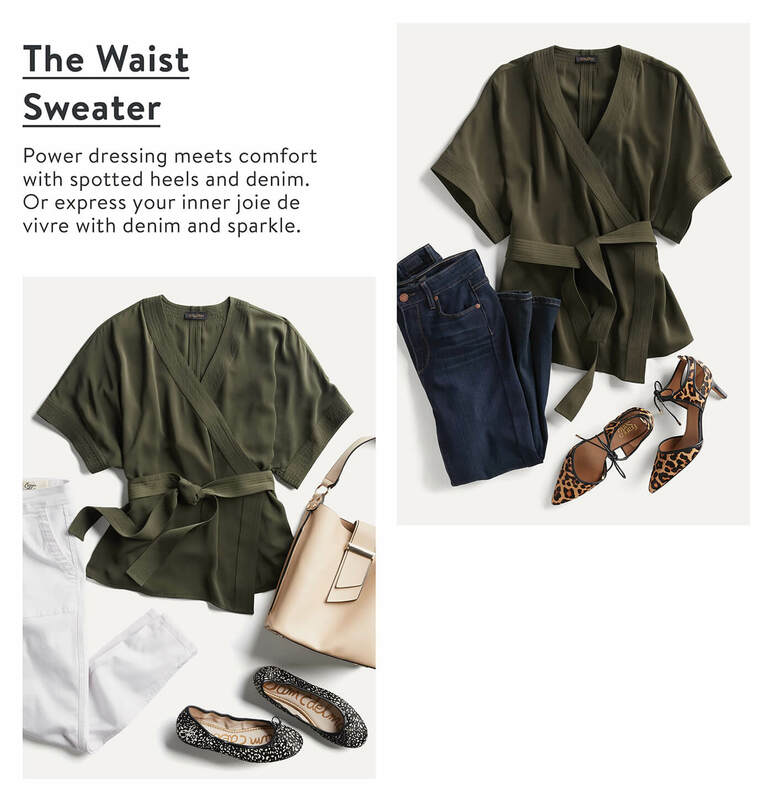 Dress up your work week by layering with your favorite sweater and go-to pants. Or, take it for a casual Saturday stroll with slip-on sneakers for the ultimate solution to any weekend woe. Staying warm never looked so sophisticated. This is the ultimate winter layering piece that beats the chill and elevates every look. Wear over work wear and it’s the perfect finishing touch for a polished look. 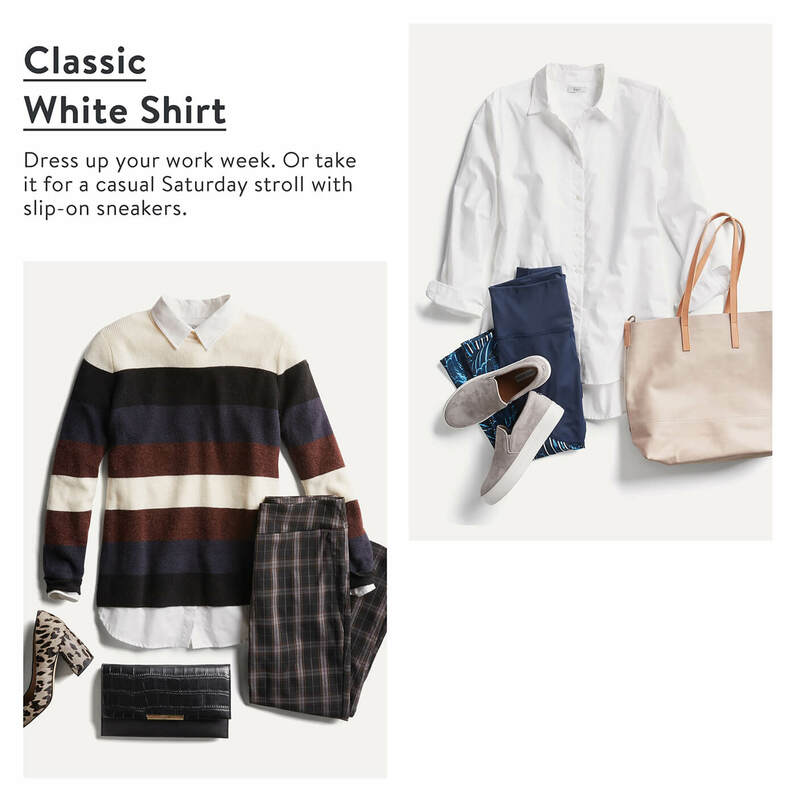 Or step up your layer player game for a weekend look that’s high on charm and endless on that I’m-so-casual-yet-chic look. It’s a “cinch” to hop between casual and casually elegant with this wear-with-everything closet essential. Power dressing meets comfort when paired with spotted heels and denim. Or rotate into your weekends to express your inner joie de vivre when matched with white-hot denim and sparkle. Ready for a new OOO take on your favorite looks? Ask your Stylist for the latest pieces in your Fix.